Hey welcome! 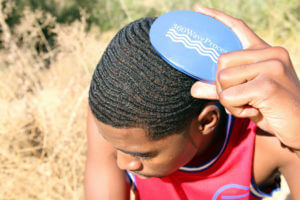 Once again 360 wave process is here to guide you on your journey to getting waves. Learning how to get waves has never been easier because you have this valuable information laid out for you. Please share the link to this page if you find it helpful. lastly the connections. I’m sure you know by now that the key to getting waves is brushing your hair. To get waves on the top of your head you need to put in the work by brushing it every day. If you are a beginner you should know that you need to be brushing every day as much as you can. All throughout the day you need to get brush sessions in. When I was a beginner at the age of around fifteen/sixteen I would carry my brush with me every where I went. I treated my brush like it was a cell phone. Even if I was just leaving to walk to the store, I’d pick up my brush and take it with me. If you want to get your waves on the top, then I suggest you pick up that same habit. precise. If you change-up the way you brush your hair often then you will soon see when your waves develop that they have forks and or are crooked. It is difficult to change your pattern after the waves form, so I suggest you combat this mistake by making sure you remember the way you brush certain sections of your hair. For example you don’t want to begin brushing the top straight down and then change to brushing at a slant, and then back to slant. Moves like that are good ways develop patterns with obvious forks. You may not have the right hair texture. (Your hair needs to be somewhat curly. People with straight hair can’t get waves. Other than that, I want you to know that the top will be the most easiest. They will come in before you know it as long as you keep up your daily brushing. If you are trying to get 360 waves, then you will see that the sides and the back take almost twice the amount of time as the top to come in. I want you to stay motivated this is why I’m letting you know this in advance. I have waves on the top and back and some on my left side i try brushing my right side much more but no progress. Why? and can you please help. So I had waves at the top and little ripples at the back, but this morning I washed and conditioned and my waves were gone. I also was shower brushing consistently and applied products in the direction of my waves. I have been wolfin’ and getting a cut soon but I was wondering what should I do in case this happens again when I start the process again? That is normal. When you are wolfing, and you wash your hair it may seem like some of your waves disappear. It appears that way because your hair absorbs water a bit of water and this affects the way your waves look. It is only temporary. You can get your waves back to normal by brushing your hair once your get out the shower. Brush it until it is dry again and you will notice that your waves are back to normal and possibly even better than before. IF the brush works good then you should keep it. You don’t have to buy it from the other company if yours works well. If you want to try the other brushes to see how they work, then that’s another story. ok i need help this is what happened at first i had deep spinning waves on the top and i had some really nice waves but then i grew out my hair and got a flat top but now i cut off my hair again and i have no waves at all so is it any way i can get them back to where they were? I’m a beginner who has just started. Do you have to put product on your hair everyday? 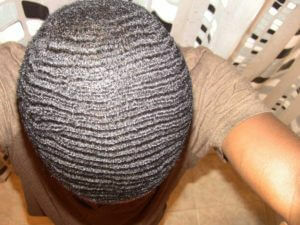 I use sportin waves. I have waves on the top but none at the back. The sides are coming. & also do you have to wash your hair everyday? Keep brushing in the same direction constantly. You’ll see results. Also use products on your hair but not too much. I mean how long would it take me to get waves and how long i have to brush?